Enter the journal volume and issue numbers. See the Recent Issues tab, below. To order back issues and single articles, contact customer service. 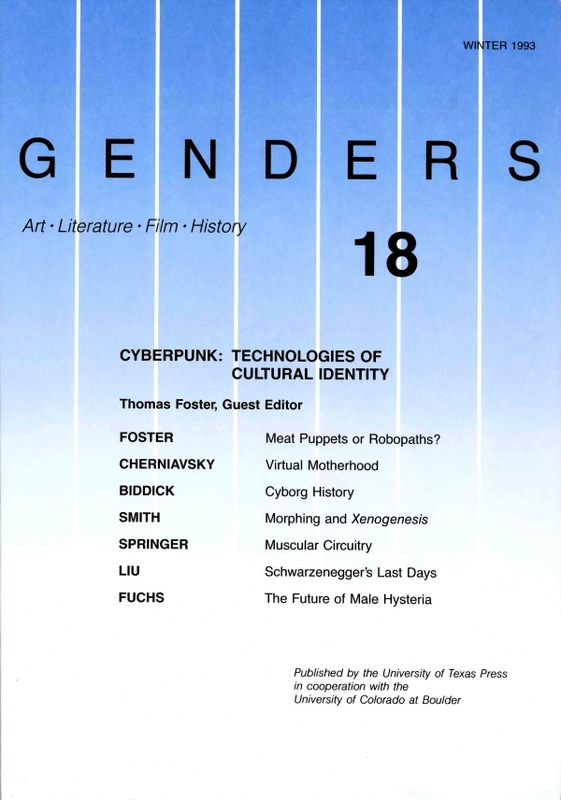 UT Press published the print version of Genders from 1988 through 1993. Issues 1 through 18 (excluding issue 7) are available for purchase through UT Press. The print version of Genders was a triannual journal offering essays and discussions of gender and sexuality in relation to social, political, artistic, and economic concerns in addition to cross-cultural analysis of contemporary gender issues. "Into the light, Leland, into the light": Emerson, Oedipus, and the Blindness of Male Desire in David Lynch's "Twin Peaks"